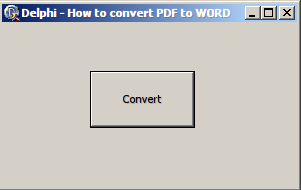 My name is Brian and in this short article, I'll show how to convert PDF to Word in Delphi .Net within PDF Focus .Net library. Secondly, you must have installed the development environment Delphi. 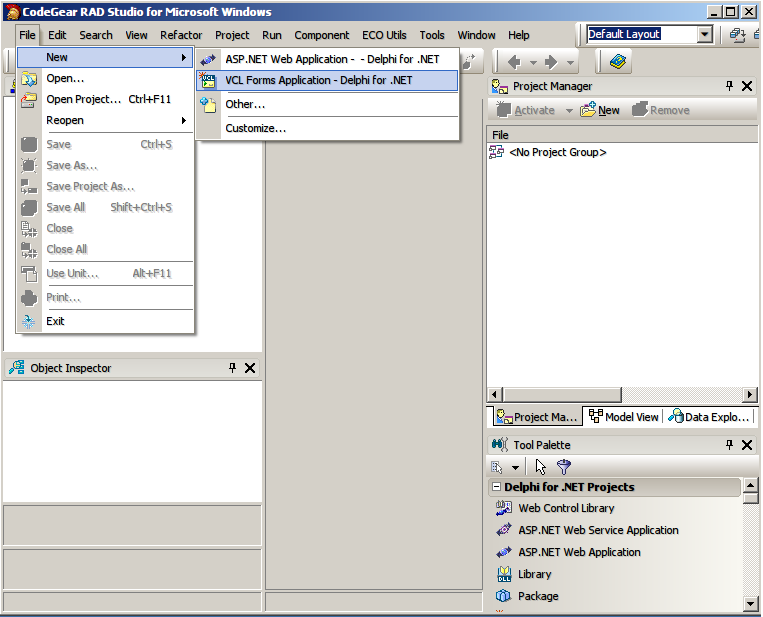 In this example, I'm using Delphi .Net 2009 for Microsoft .NET. I will build a simple windows application with one button. Clicking by this button will launch the PDF to Word conversion. Run the development Delphi environment. Create a new project. Next add a reference to the PDF Focus.Net library. 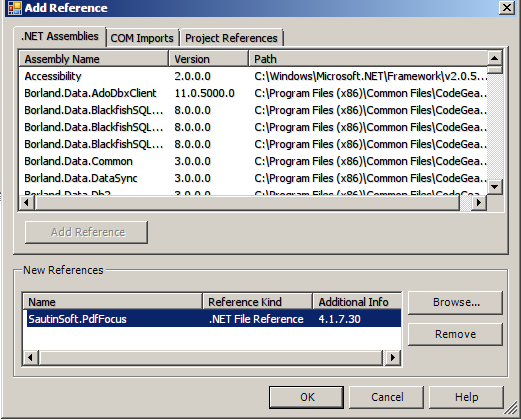 In the package (pdf_focus_net.zip), which you have downloaded from here, browse the folder “/ Bin/Net 2.0” and choose the file SautinSoft.PdfFocus.dll. Click on the Reference right mouse button. 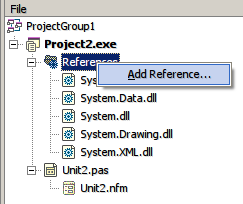 Then, on the .Net Assemblies, click Browse and navigate to the directory with the SautinSoft.PdfFocus.dll. 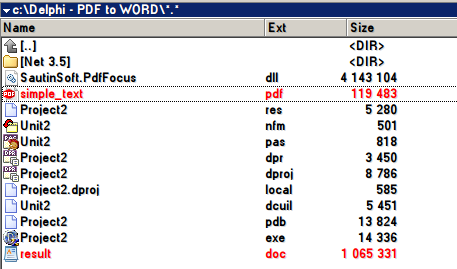 Then click OK. You will see that the Reference to SautinSoft.PdfFocus library has been added. Now add a standard button from the Tool Palette. Let’s name the button - «Convert». Ok, the most difficult part of the project is done. 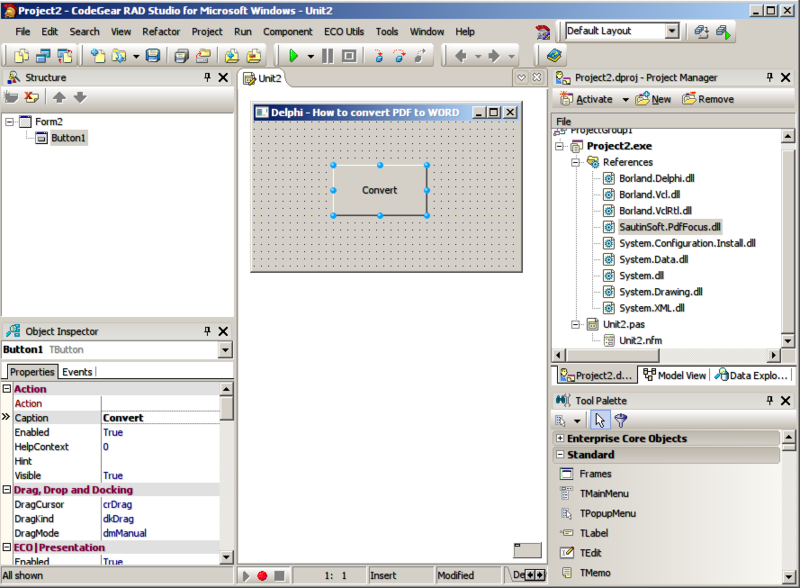 J It remains to add a few lines of code and we get a comprehensive PDF converter. Double-click on the Convert button and get into the source code of our project. I will do some explaining. f.OpenPdf(…) - specify the path to the PDF file which you want to convert. f.ToWord(…) - specify the path to a Word file, which will appear as a result of the conversion. 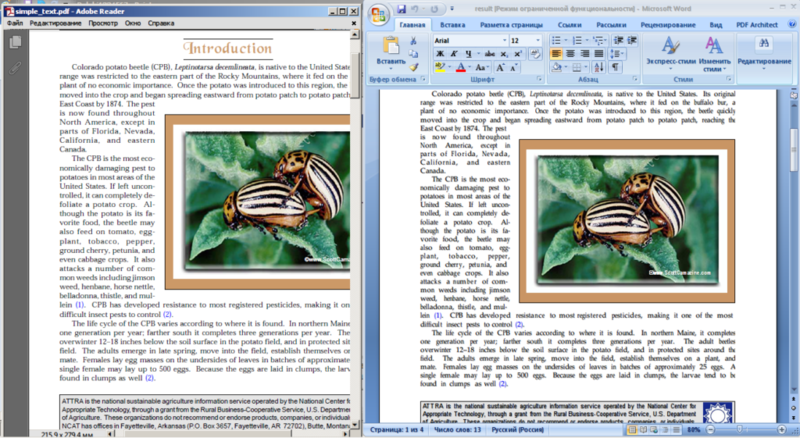 If the conversion is successful, then the Doc file will open automatically in a standard text editor (such as MS Word). You can save the entire project to the disk and experiment with other PDF files. If you have any questions about the transformation of PDF document to Doc, Images or any formats, please email: mailto:support@sautinsoft.com. Our other components to convert different document formats can be found here: www.sautinsoft.com. Good luck and thank you for your attention!